Success yet again, in our heat of the Year 5 Maths Challenge, that took place at Alconbury School this evening. Our team of only three (compared to all but one of the other teams consisting of four), took joint second place, beating a number of other local schools including Abbots Ripton, Alconbury, Ermine Street, Holme, Stilton and Spaldwick. 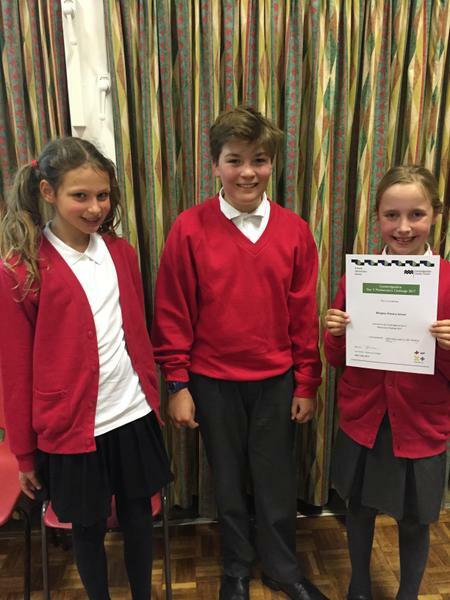 Alistair, Ava and Gabriella were commended particularly on their success with the bonus question in the memory round. Very well done team. We are very proud of you - and thank you parents (and grandparents) for your help and support in getting them there. We hope you enjoyed it as much as we did!